5.0-liter engine modified with Ford. Performance supercharger boosts output to 670 horsepower and includes three-year, 36,000-mile limited warranty. Optional level two upgrade uses smaller supercharger pulley to make 727 horsepower. 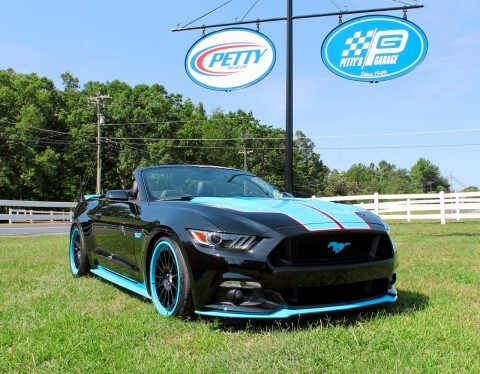 Featuring up to 727 horsepower, the new Petty’s Garage 2016 Mustang GT King edition means that Ford’s pony will be hell for some cats. Starting suggested retail prices are $67,495 for the King edition and $90,495 for King Premier. More details and available options can be found at thePetty's Garage website.